Brokered a compromise? 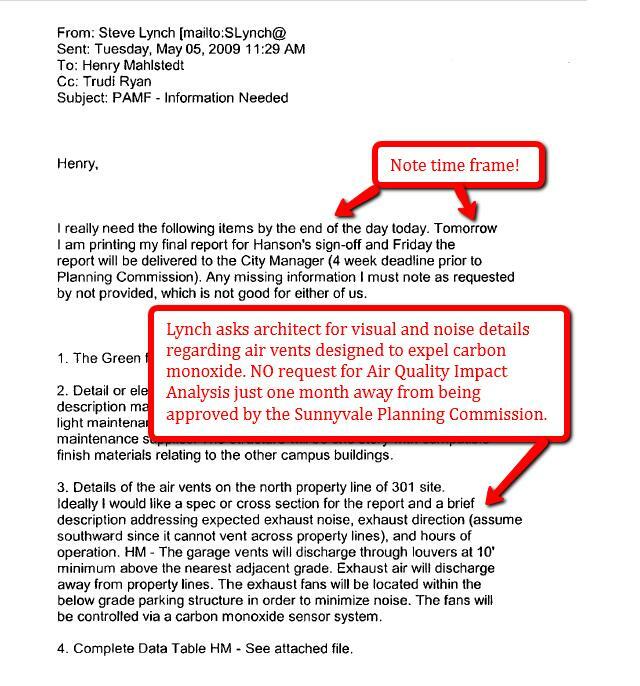 The truth is that Gustav Larsson “dropped out” of the Sunnyvale Palo Alto Medical Foundation PAMF residential advocacy mid-process, in fact, he was a “NO SHOW” at the Sunnyvale Planning Commission Hearing just a few weeks prior to the Council vote – when each voice and issue mattered! The Sutter Nurses implore their commitment to the patients, saying that Sutter is just “out there making money” and not standing up for the patients. “They don’t give a damn about their patients,” nurses say. 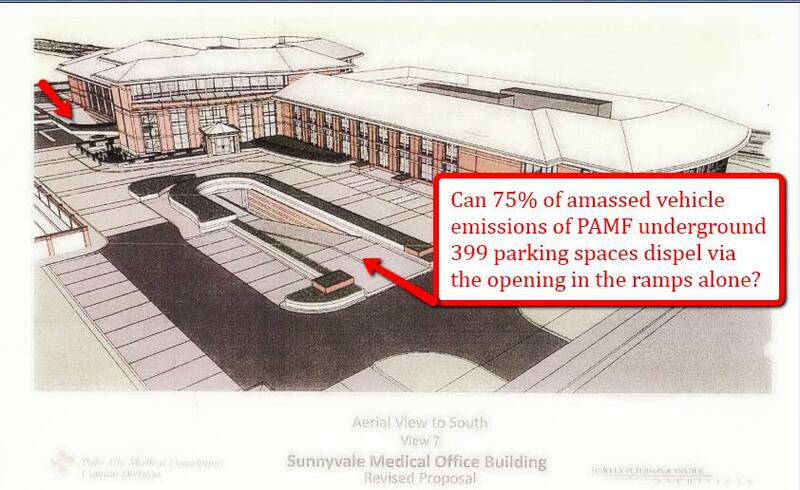 In my opinion, they’re not concerned about their nearby Sunnyvale neighbors, as well, by placing the Palo Alto Medical Foundation two-level 150,000 sf underground parking garage vents blowing concentrated carbon monoxide air toxins in the direction of a residential home living room window. 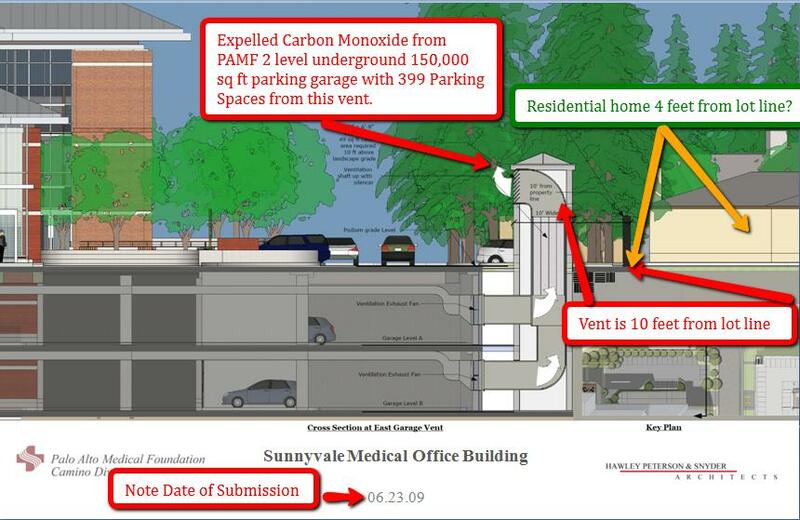 To me, the most disturbing and distasteful feature of the Sunnyvale Palo Alto Medical Foundation, designed by Hawley Peterson Snyder, is the nonchalant placement of the Parking Garage Exhaust Vent adjacent to an 80-year-old woman’s home which was omitted from study in the PAMF DEIR/FEIR.